Brandon Gonzales is a senior Accounting major from Rowlett, Texas. 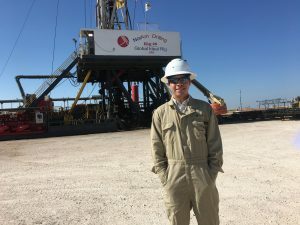 He is interning with Concho Resources this summer. Q: What have you done in your internship so far? I am currently interning at Concho Resources which is an oil and gas E&P company based in Midland, Texas. 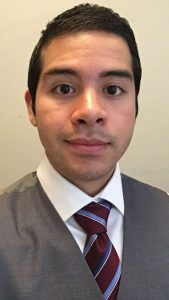 As an accounting intern, I was placed in the revenue department where I was assigned a summer project that I worked on throughout the internship. My project was to perform a self-audit of the severance taxes for oil and gas that Concho paid for its New Mexico wells. If you intern at Concho, you will be assigned a major project associated with the department you are placed in at the start of the summer. At the conclusion of the internship, you will lead a presentation over the results of your project to the upper-management of the company. Due to its importance, my first month of the summer was solely dedicated to working closely with my mentor on this project. 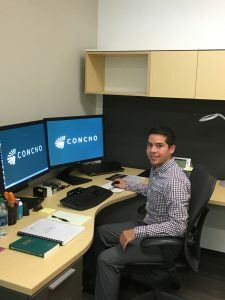 This is because each project is over an issue that Concho has an interest in and a majority of the work done by the interns are put to use by the company. For example, the workbook that I created for my project can be directly adapted for future use by the revenue department in performing audits for years outside of the scope I was assigned. After the first month, I was rotated for the remainder of the summer among other departments and groups so I could get more exposure to accounting in the company. I moved to another floor and started working alongside the Director of Accounting and a senior accountant where I helped analyze reserve reports that we received over our properties. My main job on that project was to identify and represent key information that they wanted to review in a future meeting. I created a number of pivot tables and other charts compiled from the data in reports. After a few days, I was moved once again and began working in the Joint-Interest Billing department. There I performed another audit, but this time it was over joint operating agreements that we had from previous years. I was tasked with researching each agreement to determine if we were correctly paying what the contract stated by comparing what we had in our records. Currently, I am still in the JIB department, but am now working with another group to review unbilled properties and the accompanying invoices to determine if they are correctly billed in the revenue system we use. Q: What has been your favorite part of the internship? My favorite part of the internship so far must be how involved Concho is in making sure the intern class is enjoying the summer in Midland. They want to be sure that we come away from this internship with positive memories of not only the company, but the city as well. There were multiple events throughout the summer that Concho orchestrated for the interns to get together and everything was always paid for by the company. From minor league baseball games in the company’s private box suite to golfing at the country club. They even sent us to Midland’s Petroleum Museum for a day of training so the interns could get a better sense of the oil and gas industry. The coolest event being a field trip out to one of the oil rigs where we received a personal tour from one of the supervisors. Concho also provided summer housing for the interns which really helped in bringing everyone together since we all literally lived doors down from each other. Even when there was not a company sponsored event, the interns usually had something planned like a cookout at the apartment pool. Going into this internship, I knew nothing about the oil and gas industry including how accounting was done for E&P companies. However, I was never given any busy work this summer. All the projects I worked on were assignments that would be given to the regular staff and provided an actual benefit to the company. Being treated as another new-hire was worthwhile and the knowledge that I gained can easily be leveraged in the future if I decide to pursue a career in the industry. Getting to know the people I worked with was one of the biggest benefits that I gained from this internship. I’ve built relationships with multiple people over the summer who gave me guidance not only in my career, but life as well. In particular, one coworker welcomed me into her church and got me connected with the youth group she ran. Even if I never work at Concho or in the oil and gas industry, building relationships with more experienced people in the field was a great experience. I’ve always been the type of person who likes to figure out solutions to problems I come across on my own. With this internship, I had to learn to be more proactive in asking for assistance from not only those who I worked directly with, but others within the company. I knew almost nothing whenever I started a new project and at times that was daunting. Repeatedly needing to ask for further explanations was something that I was uncomfortable with because I didn’t want to be a bother. Over time, I came to realize that being given more responsibilities didn’t mean that I had to bear everything alone. Looking around the office, I noticed that it was common to see people collaborating on their work. Although people had separate responsibilities, we were all part of the same team. This environment helped me get used to working as a part of a larger team and not be afraid to ask for further clarification on what I was doing. People welcomed questions because they wanted to make sure I understood not only how something was done, but the why as well. Audit or Tax? Big 4 or mid-tier firm? These are common questions that accounting majors come across at some point in undergrad. Some students find their own answer within weeks, while others are unsure up until graduation. However, when it comes to starting their career, I think that many accounting students are too quick to dismiss starting out their career in an industry role. Going into public accounting straight out of college is seen as the traditional route with securing a great job in industry after years of experience as the end goal. I think this is due in large part to the fact that many of the companies that recruit on campus are public firms. There is little exposure to any other option before graduation. This summer, many of the staff that I worked alongside did do not come from public backgrounds and I was curious as to why. I received various answers, but the most common was that the long-term goals they had for themselves were perfectly attainable without going into public accounting. The main takeaway being that both routes have their pros and cons so it is up to the individual to decide which path is best for them. I would encourage younger students to equally give both options their attention as they go through college. Choosing to dismiss one side without the proper due diligence is simply closing off a number of future opportunities.